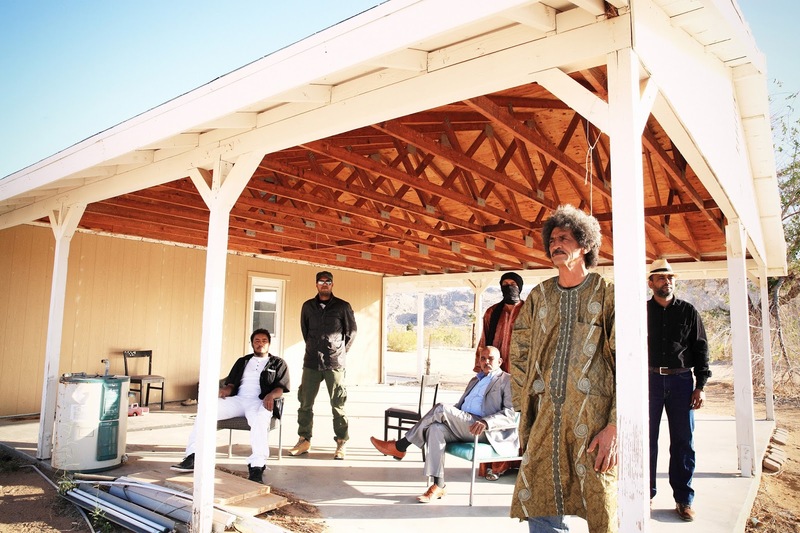 Tinariwen (pictured above) are the undisputed heavyweight champions of what the Tamasheq people simply call "la guitare"; we usually call it "desert blues." Due to the recent unpleasantness in Mali, their new album Emmaar (roughly "the heat on the breeze") was recorded in Joshua Tree, California where the climate is to their liking. The album is quite wonderful and you'll hear a song from it on this week's program, part of a full set of desert blues from across Northwest Africa. Also this week: a Caribbean-African connection, French and Spanish folk-rock; the sounds of Casamance; and a track by Bassekou Kouyate & Ngoni Ba, who'll be performing in Richmond on Saturday.